This summary comes on the eve of arguably one of the most unprecedented and historical American elections, where for the first time a female president could be elected. With that as the backdrop to my nightly reading it is with no surprise that this book has profoundly taken ahold of me. I have to admit rather embarrassingly I had never heard of Annette Verschuren before seeing her book as a suggested top summer read by the WXN Network. This book is a top read for all business leaders, at every level, and particularly for women. Verschuren is a wildly successful business leader in Canada who very candidly lays out the foundation to her success in an incredibly relatable and tangible manner. This is a book of gems: page after page of practical and actionable advice demonstrated through personal story. There is no sugar coating in here, just straight up real talk. I hope the gems below will do it justice! "You make your decisions right by adhering to your values and then executing them well." The author has built a reputation and legacy of kindness, honesty, and fairness, through purposeful and consistent results. The core of this stems from her upbringing and childhood, but also her unwavering determination to not lose sight of her values. Ego in check. The start of the book talks about finding your baseline, your core values, your true self, whatever you want to call it, that reminds you of who you are and what you want to be. I know this sounds soft, but it really is the foundation that allowed the author to take risks, ask for what she wanted, believe in herself, say no, say yes, have hard conversations, and make even harder decisions. Getting clear on what the author refers to as your baseline, and trusting your gut instinct, is the first step towards becoming and staying a successful leader. Verschuren speaks frequently about not taking the easy path and making the right decision, not the easy one. She did this successfully because she didn’t waiver or back down from her values and the type of leader she proudly wanted to be (and quite frankly is). "Resist the urge to do other people’s thinking for them – even if it feels like the quickest route." Involve: Your team in decisions making, planning, and feedback to allow them to take ownership. Delegate: If you’re doing the above correctly, delegating will come more naturally. Teams will know the vision and expected outcome. Recognize: Praise both results and effort equally. Using these three tactics will put the leader back in a position to devote their time to leadership development activities. Less time will be spent managing individual tasks (or monkeys), as the team will be more engaged and involved. "Sometimes the pursuit of the perfect sequencing of events can prevent you from taking the actions that will deliver the results you are looking for. One way to get around this is to make it about the outcomes you are pursuing." I love this gem because I often feel that business related books focus more heavily on how to approach problems through the lens of process, instead of emphasizing the importance of producing outcomes. The author suggests that if you are in a leadership role (upper management) you should spend at least eighty percent executing and twenty percent planning. This isn’t to discount thoughtful decision making, but rather placing importance on building strong relationships and communication with your team and stakeholders in order to ensure you will execute well. Using the three actionable steps from Gem #1 (involve, delegate, recognize) will set you up for success whether you’re a proposing a new idea or rolling out significant change management. 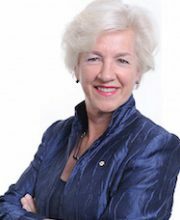 Annette Verschuren is a giant in the Canadian business landscape who has had tremendous success in leading Home Depot Canada, Michaels Canada, various Crown Corporations and now an energy start-up. She is a leader who cares deeply about doing what is right—not always an easy or popular approach. Her advice is pragmatic and useful for all types of leaders—no fluff. If you want to feel like you need to have a mentor in your back pocket, this is the book for you.